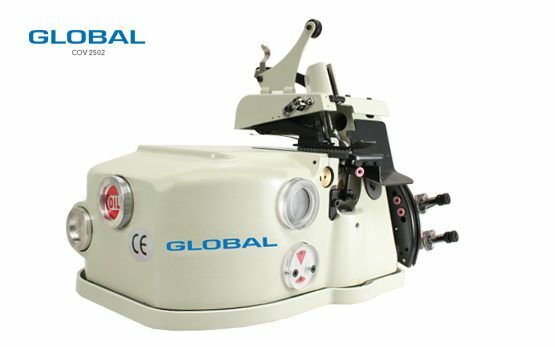 Global overedge sewing machines can be used for multiple applications. The sewing machine can be fitted with side knifes and a puller for extra usage and efficiency in the production process. This type of sewing machine is widely used in the automotive and aviation industries. The carpet overedge sewing machine is also one of the most used machines for stitching fishnets. The Global Carpet Overedge sewing machine COV 2502 is our ultimate sewing machine for carpet overedging and other heavy duty operations. Why Carpet Overedge sewing machines?